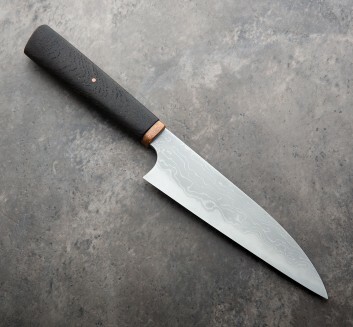 Originally from New York, Alexander Bazes forges one-of-a-kind chef knives at his small workshop outside of Kyoto, Japan. 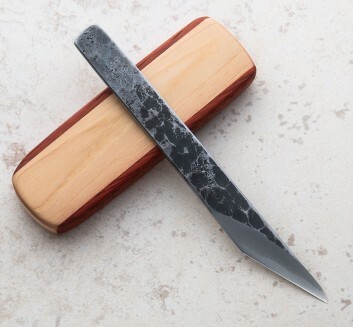 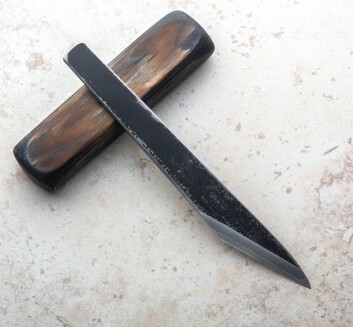 With a recognizable style that delivers an understated, elegant and purpose-driven look and feel, Alexander relies exclusively on the Japanese steels like Hitachi Blue and White which he has worked with while training under master bladesmiths in Kyoto and Osaka. 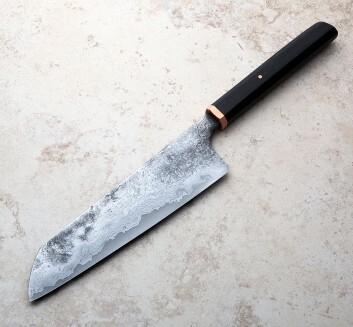 A deep respect for the connection between tools, the people who work with them, and the people for whom the work is done, drives Alexander to build uncompromising culinary wares through which he aims to create a sense of harmony in the user. 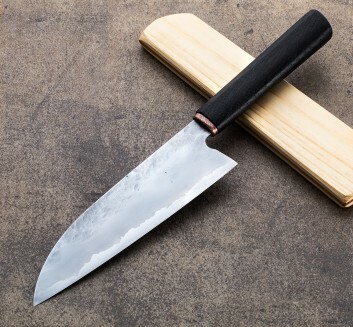 Combining techniques like time-tested Eastern forging practices with modern, precision approaches to heat-treatment, an undeniably bold and unique kitchen tool is born which each knife completed by Alexander.